A young very neat malt! Starts well, but has very little substance. If you only want smoke without annoying complexity, this is the right place. Smoke. Strong and spicy. Some ashes or older cold smoke. Behind it a hint of red fruits and raisins. Maritime background note. Immediately absorbs the tongue with creamy smoke. Some alcohol on the palate. The fruits are gone. The maritime is still latent. Had hoped for something more. Short, dominated by cold smoke. Something salty. 2nd review with little change in rating. More peatiness than I remember from before. Iodine and camphor is still the same but not disturbing at all. More band aid upfront in taste with a lot of spices - ginger, pepper and nutmeg - Also a very sweet touch from honey (almost sugar) and soft fruit. Medium finish, peat, sweet and spicy. 79 points. Not bad, but too young. In the same price range (sometimes even a bit cheaper), I'd always prefer a Benriach 10-year-old Curiositas - a properly aged smoker from quality casks. 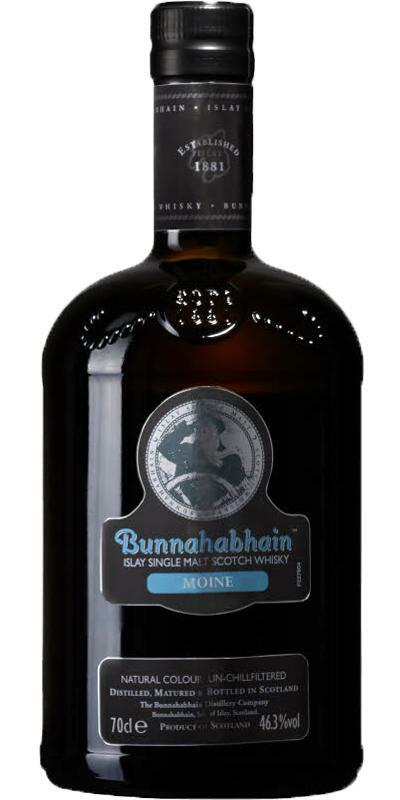 It's not the most complex Bunna but an excellent price / value ratio. Sweet peat and smoke, camphor, seaweed, iodine, pepper and ginger. Acetone. Creamy. Pepper, peat and smoke, camphor and menthol, pear. Medium length, sweet, smoky and fruity. Pretty nice balance between (moderate) peat and yet some fruitiness.